One of the challenges of learning another language is how to memorize useful vocabularies. Here are some useful tips in memorizing vocabularies. 1. The operative word is useful. So if you are a novice speaker and you just want to be able to speak the basics, stick to the basics. Begin with the most useful ones. For instance,if you just want to learn how to greet someone in the target language, then gain some mastery first of the vocabulary related to greetings. Remember that frustration is the number one enemy for language learners and you don't want to feel frustrated in the early stages of learning. What you want to feel is challenge. Challenge yourself by memorizing at least ten or more useful vocabularies daily, that is if you are really serious in storing many vocabularies in your vocabulary bank. 2. You can use word association. Take for instance the word pamilya. It sounds like "familia" from the Spanish language. In Japanese, the word "nangka" is used almost like 'kuan' but it is a name of a fruit in Visayan language, specifically, jackfruit. "Kuan" is the equivalent to "watchamacallit" in English. Imagine how amused the Japanese were when they learned this. This method works for them. And it is fun, too. 3. You can use the fade away method. 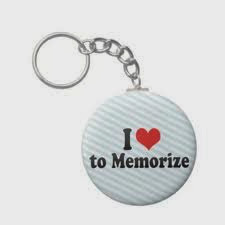 Memorize the first word to start, if you think you have committed it to memory already, proceed to the second word, after memorizing the second, erase the first and then memorize the third. After having memorized the third, recite from the first, then erase the second. So add one word while erasing the words from the top. You will find out that you are building your vocabulary fast You can use the fade away in memorizing body parts, numbers, animals, and etc. 4. After you have memorized the words from a list, cover the Visayan word and then see how many Visayan words you can get correctly. 5. For visual learners, what works for them is the realia, seeing actual objects and being in a specific location. Visual learners learn best when they see real objects or pictures. You can try identifying real fruits in the market and also associate food tastes with them. Like you can try memorizing mango and sweet together. It is association and realia at the same time. With that you can form a sentence like: Mango is sweet or Tam-is ang mangga or mango es dulce. 6. Remember that learning a language takes time, commitment and effort. It also pays that you use effective methods.